Riding high on the crest of a Democratic blue wave powered by grassroots progressives, New York Democrats finally took back the state Senate for the first time in nearly a decade. With this accomplishment comes a responsibility to finally act upon a long list of priorities that have been stymied by the Republican-controlled upper chamber of the Legislature in Albany. Chief among these priorities is criminal justice reform, a topic that the New York City Council has been tackling aggressively for some time. Perhaps the Council’s most ambitious effort in this sphere has been to close all jails on Rikers Island. The decrepit jails on this island embody human misery and tragedy and it is our moral imperative to close them forever. Any realistic effort to close these jails requires reducing the pretrial detention population, as close to 90 percent of those housed on Rikers are merely accused and not convicted of crimes. 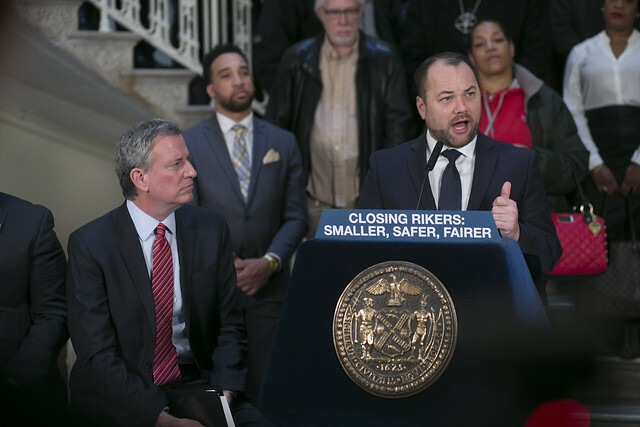 While the city has managed to take several bold steps in this area, state action will be required to make the dream of closing Rikers a reality. Over the past few years, our efforts at state reform have been hamstrung by an uncooperative state Senate. Throughout the process, our progressive allies in the Assembly majority and Senate minority voiced support for progressive criminal justice reform but were unable to move key bills to fruition. Their inability to move legislation through the Senate did not stop some state elected officials from crafting bills that would greatly improve our criminal justice system. This legislation now stands a strong chance of passing once the new Democratic majority sits for the 2019 legislative session. First and foremost, bail and speedy trial reform must be prioritized. 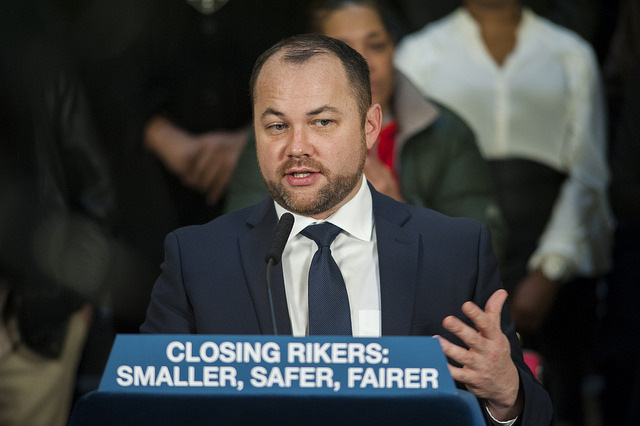 Both efforts would go a long way towards a more equitable criminal justice system writ large, while lowering the detainee population on Rikers Island. While we here on the City Council have done much to make our bail system fairer, only Albany can implement the deep and systemic reform necessary to make our pretrial detention system truly fair and just. There are a number of bills in the Assembly and Senate that either significantly restrict or eliminate cash bail, encourage the use of monitored release in lieu of detention, and help ensure that pretrial detention is reserved for only the most severe cases. Any of this legislation would go a long way towards fixing what is a fundamentally broken and unfair bail system. Meanwhile, speedy trial reform is arguably even more important in reducing pretrial detention. Given that close to 90 percent of the jail population is pretrial detainees, cutting the speed with which cases are resolved has a direct and massive impact on the jail population: a 25 percent faster system would mean close to a 25 percent reduction in the jail population. Much like our state’s bail laws, our speedy trial laws are outdated and ineffective, lagging far behind the federal system and other states. As they say, justice delayed is justice denied, so resolving criminal prosecutions faster not only reduces our jail population, it also helps our criminal justice system as a whole. While Senate Democrats tried to push for some minor reforms to our broken speedy trial laws in recent years, our new Senate leaders must be aggressive in tackling this issue. There are also lesser-discussed issues that could be enormously transformative, such as parole reform. Approximately 16 percent of the population of Rikers Island jails is incarcerated for parole violations, and the state controls this issue in its entirety. According to a report issued by Columbia University’s Justice Lab, the state parolee population is the only jail group that saw an increase in its size over the past four years. Thankfully, Albany is aware of the issue, evident in Governor Andrew Cuomo’s 2018 State of the State speech, in which he touched on the importance of parole reform. When the new state Legislature convenes in January, it can move to shorten parole terms, incentivize good behavior, and require speedier hearings on these issues. Though its impact on our jail population may not immediately be apparent, discovery reform should also prove critical in helping the city to run a more just criminal justice system and to close Rikers Island jails. Discovery is the process by which the prosecution provides its evidence to the defense. New York State has among the most restrictive discovery laws in the country. While the issue may seem complex, it is actually fairly simple: since well over 95 percent of criminal prosecutions result in a plea or dismissal, the faster the defense is able to assess the strength of the prosecution’s case, the faster a plea or dismissal can be reached. Luckily, there is already legislation in Albany to ameliorate the situation, and our new leaders should embrace these progressive reforms. Over the past several years, we here at the City Council worked hard to bring our criminal justice system into the 21st century. 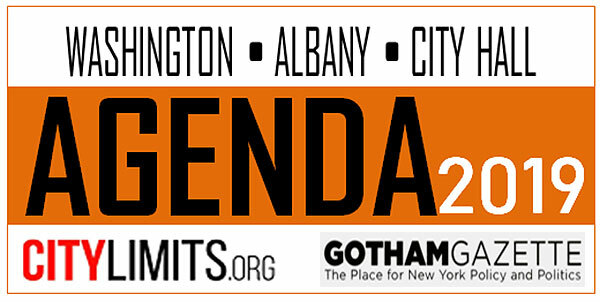 However, there has always been a limit to what we can accomplish without willing partners in Albany. In early January, when our fellow Democrats in the state Senate take their seats as the new majority and work with the Democratic majority in the Assembly, the possibilities for progressive criminal justice reform will widen tremendously. The progressive activists who helped make Democratic victories a reality in November will be watching the new Legislature closely. It is imperative that our state elected officials finally act to create a criminal justice system in New York that reflects our values as a state and a city. Diana Ayala, Margaret Chin, and Stephen Levin are members of the New York City Council, representing parts of the Bronx, Manhattan, and Brooklyn, and members of the Council’s Progressive Caucus. Their districts are all slated to be home to new or larger jails as Rikers Island facilities are closed. On Twitter @DianaAyalaNYC & @CM_MargaretChin & @StephenLevin33. The only legal reason to hold a person on bail is to ensure they return to court, but research proves time and again that most people return to court on their own, especially women. This includes people bailed out by charitable bail funds. 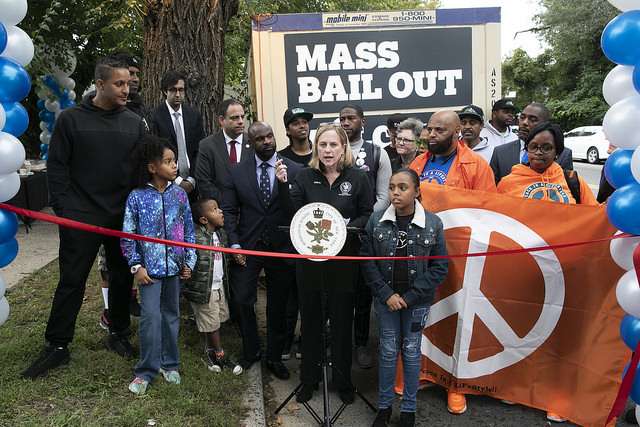 In fact, the Bronx and Brooklyn bail funds have been operating for over a decade and the people they serve return for their court dates 95 percent of the time. Further, women in jail are more likely than men to be the primary caretakers of their children, to have survived histories of violence and abuse, to be battling drug addiction and mental illness, and to live in poverty; circumstances only exacerbated when isolated on Rikers Island (or in any jail or prison). To theorize that women are less a danger to themselves or others in jail is to erase their agency and to ignore the many needs we neglect to meet as a community. New Yorkers have a responsibility to reimagine the criminal justice system and to set an example for the rest of the country. At the Women's Prison Association (WPA), we envision a community where our reliance on incarceration as the default response to crime has been replaced by constructive, community-driven responses. Women come to WPA from Rikers every day. Partnering with the Mass Bail Out simply means providing the same services to more women at once. There has been a plan set in place for every woman thus far, including transportation to safe housing, connection to health care, legal support, and provision of emergency needs like food and clothing. WPA's social workers are meeting these women at Rikers with tailored service plans and nonjudgmental support. Every day our staff work hard to meet the immediate and long-term needs of our clients, and I am proud of the tireless effort extended throughout this movement. These are supports every New Yorker should have available to them. WPA is 173 years old. We are familiar with the misconceptions around our work and similar efforts toward social progress like the Mass Bail Out. Critical to our vision of a world with fewer jails and prisons is the belief that all human beings have the capacity for change and that every individual can be accountable for her actions and the results. We support the freedom of these women and teens, so that they can imagine and realize law-abiding, self-directed, and satisfying lives in the community, possible with our support and that of the city at large. Georgia Lerner is Executive Director at the Women’s Prison Association, which works with women at all stages of criminal justice involvement. On Twitter @Georgia_Lerner & @WPA_NYC. 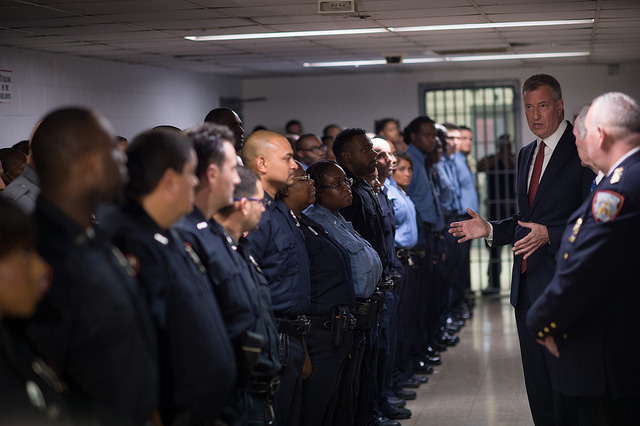 Mayor Bill de Blasio has a plan to close the jails on Rikers Island, in part by reducing the overall city jail population to 5,000 detainees, down from about 8,000 now, which is down from well over 20,000 two decades ago. 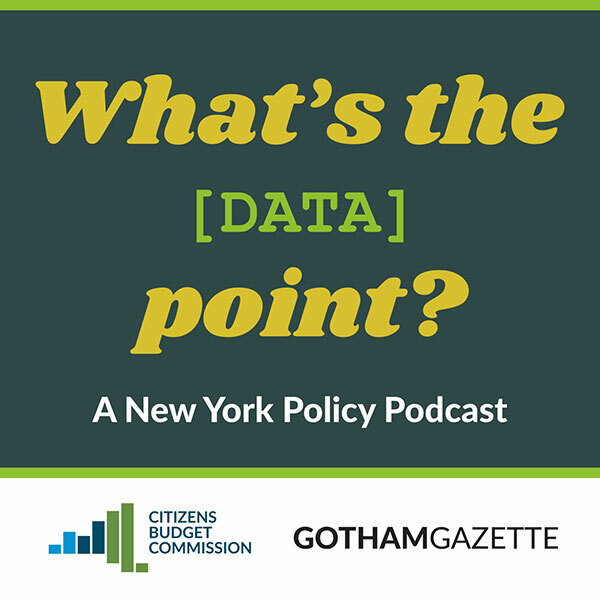 Liz Glazer, director of the Mayor’s Office of Criminal Justice, joined the podcast to discuss the administration’s criminal justice policies. Before Judith was head chef, before she was a line cook, before she knew kitchen skills, she was incarcerated. But it was her time in “Rosie,” the Rose M. Singer women’s jail on Rikers Island, that placed her on her trajectory to becoming a chef. In April 2017, four months before her release from Rikers, Judith began participating in the workforce development programming offered onsite by the Osborne Association, a New York-based nonprofit that provides social services for the currently and formerly incarcerated. Osborne offers a number of professional education workshops and certification programs on Rikers, and Judith began training intensely with the group. “I took advantage of...everything I could get my hands on,” she told Gotham Gazette, and ended up leaving Rikers with certificates in food handling, culinary arts, building maintenance, and job safety. Upon her release, Osborne’s housing staff helped her secure a home, and its employment team reviewed her resume, coached her on interview skills, organized her paperwork, and placed her in an apprenticeship in a kitchen. When the apprenticeship ended, Osborne helped Judith find permanent employment and supported her emotionally as she progressed professionally. “They kept encouraging me that it’d be okay, that I need to keep pushing forward. It wouldn’t have happened without them,” she said. 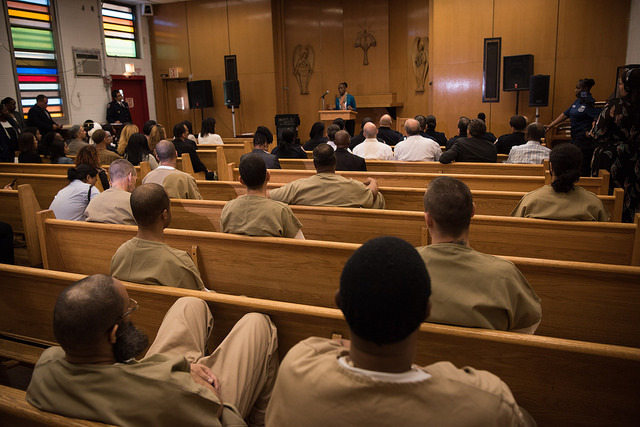 The Osborne Association is one of several organizations in New York City providing services to those incarcerated in city jails, both during their confinement and after their release. Most have been operating for decades — Osborne was founded in 1933, and its peer group, the Fortune Society, has operated since 1967 — and receive city funding. But it’s only been within the past year that the city government has mobilized the Osborne Association, the Fortune Society, and six other incarceration-services organizations — Samaritan Daytop Village, Fedcap, Housing Works, Friends of Island Academy, the Women’s Prison Association, and the Prisoner Reentry Institute at John Jay College — to provide short-term transitional employment to every individual leaving a city jail after serving a sentence. Employment after incarceration has been shown to reduce recidivism by 22%, and de Blasio says that the city needs to reduce its jail population to 5,000 — almost a 50% drop from figures at the time of his announcement — in order to make feasible the closure of Rikers. In 2017, the average total population of those incarcerated on Rikers or the city’s other jail facilities stood at 9,148. On Monday, July 2, the total city jail population was 8,208, including 6,138 on Rikers, down from 9,206 one year prior. Roughly 8,500 people leave city jails each year after serving a sentence (many more are incarcerated after an arrest but do not necessarily serve a sentence in a city or any jail or prison). It is not clear what capacity the city needs to ensure through provider agencies to make sure that each of those individuals has access to a “paid, short-term” job. The program is in its infancy. There is no set duration for “short-term,” a mayor’s office spokesperson said, indicating that it depends on the needs of the client and the service-provider. Employment is, by most empirical measures, both crucial to successful post-incarceration reentry and disproportionately difficult to attain for the formerly incarcerated. In 2017, 80% of those who served a sentence in a New York City jail had been unemployed at the time of their arraignment, and the National Institute of Justice estimates that between 60 and 75 percent of formerly-incarcerated individuals are jobless up to a year after their release. This joblessness does not seem to be for lack of effort. A survey conducted by the Urban Institute reported that 79% of formerly-incarcerated individuals sought employment once out of jail, but data show that justice-involved individuals consistently face legal, perceptive, and racialized barriers to employment. More than 80% of employers in the United States perform criminal background checks on potential employees, and a government-published study conducted in New York City found that a criminal record reduces the likelihood of a job callback by almost 50%. Still, white justice-involved applicants were twice as likely to hear back from a potential employer than black justice-involved applicants were. In a city that jails black and Latino people almost exclusively, this racial disparity has far-reaching effects. Guaranteed employment for the formerly-incarcerated, then, would radically alter the conditions of thousands of New Yorkers leaving a city jail, and Jails to Jobs seems to be the first initiative of its kind in the United States. It may prove to be a massively complex undertaking. The city works with groups that provide an array of services. For instance, the Friends of Island Academy holistically focuses on the needs of formerly-incarcerated youths while the Women’s Prison Association offers gender-specific services, and Housing Works helps the formerly-incarcerated secure stable housing, a well-documented struggle for justice-involved individuals. Several leaders of the city’s partner organizations spoke to Gotham Gazette of Jails to Jobs’ collaborative nature, whereby affiliated groups freely refer individuals to other organizations that may be better suited to their needs. For instance, if a Brooklyn resident sought assistance from the Fortune Society, based in Long Island City, Queens, staff there said they might refer them to the Osborne Association, which runs a center in Brooklyn Heights. The Jails to Jobs initiative officially commenced on January 1 of this year, but most organizations began providing services under the program’s auspices in the spring, meaning the program has only recently launched in earnest. The network of groups finding employment for formerly-incarcerated people is labyrinthine, and Jails to Jobs runs slightly differently between organizations. 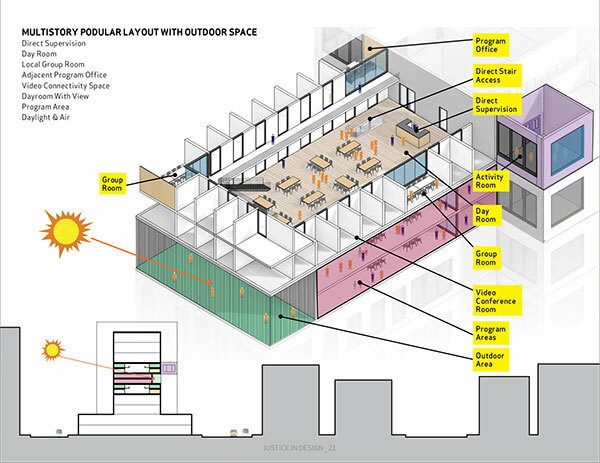 When MOCJ solicited programming proposals for Jails to Jobs, it wrote that the city would “strongly favor proposals that demonstrate partnerships through subcontracting or formal cost-sharing arrangements.” As a result, most Jails to Jobs participants are placed into internships through subsidiary organizations. As of mid-June, the Osborne Association had employed 30 formerly-incarcerated individuals via three different, smaller groups — the Center for Employment Opportunity, Exponent, and the Hope Program — though it hopes to reach 150 people by the end of this year and 200 by the next. The Center for Employment Opportunity primarily provides day labor cleanup crews and employs Jails to Jobs participants for four to five hours a day at $13 an hour. Exponent, a substance-use program, provides services and certifies in counseling. Programs have not yet begun at the Hope Program. The Fortune Society, for its part, hopes to place 300 individuals in employment by the end of the year, and had enrolled 128 as of mid-June, 2018. That enrollment figure, as with all similar statistics from service providers, includes more than just the individuals who are currently employed in a paid, temporary internship — Jails to Jobs also funds hard skills training, including culinary, construction, and CDL driving certification. Experiences vary along lines of gender, as well. In 2015, women comprised roughly 6% of the city jail population, and their experiences before, during, and after incarceration differ from those of men, said Nyasha Rivera, who oversees the Jails to Jobs program at the Women’s Prison Association. “We are not using tools that were created for men or are gender-neutral,” Rivera told Gotham Gazette. Since they are often the primary caregivers of children, meaning they must live in bigger homes, be nearer to sources of support, and are often more undesirable to landlords, women typically face less housing stability post-release than men do, which depresses their ability to find employment. And gender-specific “trauma that women experience prior to incarceration, during incarceration, and in the reentry process...serves as a barrier,” Rivera said. The Women’s Prison Association offers, through various partnerships, employment tracks in culinary arts, building maintenance, and front-of-house restaurant work. As part of Jails to Jobs, the Association offers eight paid weeks of job training followed by a two-week paid internship, a different program than those run by other service providers. Still, explained Jim Hollywood of Daytop Samaritan Village, “all Jails to Jobs contracts across the city have a similar construction to the programs.” Job training services begun during incarceration place individuals in contact with service providers, who continue employment support after release, which comes, in part, in the form of a city-subsidized temporary internship. MOCJ allocated almost $9 million -- $8,885,492 -- to the Jails to Jobs program in its first year, which it’s spent mainly in the form of grants to service providers. That money pays for the minimum wage salaries of program participants for up to 21 hours a week, assuaging, the hope is, any sense among employers that to employ a formerly-incarcerated person is to undertake a risk. Employers can choose to supplement the schedules and salaries of their formerly-incarcerated employees beyond what the city guarantees. Such is the case of Alexandra, who spent 18 months on Rikers Island and a little over a year in state prisons. She connected with the Fortune Society while on Rikers through taking its anger management, family safety, and job training workshops. Upon release, Alexandra entered into an internship at a home health services facility that employs her for over 40 hours a week, paying the half of her full-time salary that the city, through the Fortune Society, does not cover. Like Judith, Alexandra (Gotham Gazette agreed to withhold last names) credits her connection with an incarceration-services group for her stable re-entry process. Immediately following her release from the Taconic State Prison, where she was sent after time on Rikers, staff at the Fortune Society helped Alexandra open a Medicaid account, apply for food stamps, and begin learning skills necessary for re-integration. She called it a “one-stop shop” in an interview with Gotham Gazette, and is now poised to be hired full-time as a coordinator at the home health services facility once her internship ends this month. It is difficult to ascertain whether the successes of Judith and Alexandra are representative of most participants’ experiences with Jails to Jobs; most organizations only began running the program two or three months ago. But each service provider, as per the terms of MOCJ’s solicitation for proposals, already has extensive experience in reentry programming in New York City. Data points for the program are tricky to come by. For example, Gallahue, the MOCJ press director, told Gotham Gazette that the city does “not have a precise number” regarding the expected demand for jobs among recently-released individuals. Though at this time it is known that approximately 8,500 people leave city jails after serving a sentence each year, MOCJ could not say how many individuals who had served a sentence could be expected to be looking for a job at any given time. Anecdotally, a minority of those released from city jails, even those who’d been involved with a service provider while incarcerated, seek post-release services. Judith said that she is the only one of her roughly 20 peers who’d been enrolled in Osborne’s classes on Rikers to seek out the organization’s help once off the island. The employment services Jails to Jobs has added resources to have changed Judith’s life, she said. The Fortune Society is on the front lines in the fight to keep people out of jail, help those leaving jail successfully reenter larger society, advocate for criminal justice reforms, and make sure that housing, jobs, and social services are available to all. JoAnne Page, president and CEO of the Fortune Society, and Stanley Richards, Fortune's executive vice president and a formerly incarcerated person, joined the podcast to discuss a wide range of topics related to the work they do, criminal justice policy, and next steps in New York for a fairer justice system. The City of New York, like many cities and states across the country, profits from people experiencing poverty who come into contact with the criminal justice system. New York imposes a plethora of fees on persons charged with and/or convicted of a crime or minor infraction, ranging from a fee to support the DNA Bank, to an incarceration fee, to a fee for parole or probation. Among the most egregious of these fees involve phone calls in New York City jails. New York City reaps millions of dollars in profits from people who are in city jails and simply want to make a phone call. Many of these people have not been convicted of a crime. Nearly 75% of people in New York City jails are held pretrial, many because they were arrested and cannot afford to make bail. Some are in jail serving short sentences for minor misdemeanor offenses. All just want to talk with family, friends, or their attorney. On Monday, the City Council will take the next step in exploring the opportunity to end this predatory practice when it debates a bill, Intro. 0741, introduced by Speaker Corey Johnson. The bill would put a stop to the City’s practice of using the jail phone as a revenue center. Passing it would be a first and important step toward ending what is truly a tax on justice. Over the last 30 years, as rates of arrest and incarceration skyrocketed across the country, jurisdictions struggled to pay for the bloated justice system. Cities, counties, and states increasingly tried to generate revenue by imposing fees on people, including children, arrested for and convicted of crimes. In California, the state adds $390 in fees to the $100 fine imposed for running a red light. In Washington State, courts impose an average of $1,347 on every criminal conviction. In New York, people convicted of felonies face mandatory fees of $300; for misdemeanor convictions, the fee is $175. Although the criminal justice system is a vital government service meant to protect everyone’s public safety, more and more jurisdictions turned toward a “user-funded” system, unfairly demanding that some of the poorest Americans shoulder the burden. Justice system fees disproportionately harm low-income people and their families who cannot afford to pay them. Communities of color are particularly devastated because they experience higher rates of poverty and over-policing in their communities. It is a burden that is often too heavy to bear. For the millions of people who cannot afford to pay them, outstanding fees trap them in the justice system for prolonged periods, entrenching poverty, exacerbating racial and ethnic disparities, and diminishing trust in government. And, because so many people cannot afford to pay them, criminal justice fees often generate less revenue than expected. Some local and state governments have gone beyond simply trying to recoup costs through justice system fees and are trying to generate profits by imposing fees on people who are incarcerated, regardless of whether they have been convicted of any crime. In jurisdictions across the country, fees for “services” in jails and prisons (including exorbitant mark-ups on items for sale in the commissary) as well as fees for mail and “video” visitation are routinely imposed. New York City’s phone fee is a prime example of this unjust, discriminatory, and misguided policy. Like all justice system fees, the phone fee particularly harms the city’s most vulnerable communities. It may also diminish public safety. When people in jail can’t afford to pay for phone calls, they can be cut off from contact with their families. Research shows that regular communication between incarcerated people and their loved ones correlates with lower recidivism and higher opportunity for successful re-entry to society. We know the phone fee disproportionately harms people experiencing poverty and communities of color and may lead to higher recidivism rates. Yet, New York City government plans to extract millions of dollars next year from families who wish to stay in contact with their loved ones in City jails. Indeed, the mayor’s proposed budget anticipates that the Department of Corrections will collect nearly $6 million in profits from phone calls made by people incarcerated in city jails. But, budget negotiations between the de Blasio administration and the City Council have until the end of June to get it right. The Council Speaker’s bill would stop the City from profiting from people who have already been targeted and trapped by a system that takes away freedom, dignity, and hope. It would help ensure that people who are incarcerated maintain critical community ties while they are in jail, increasing their opportunity for successful re-entry when they are released. It should be adopted by the Council and signed by the mayor. Joanna Weiss is the Co-Director of the Fines and Fees Justice Center. Brandon J. Holmes is the #CLOSErikers Campaign Coordinator for JustLeadershipUSA. On Twitter @joannagweiss and @BJHolmes_NYC.